Impressive at the recently concluded Rio 2016 Olympic Games, where he was one of the players to catch the eye, recording impressive wins of Iran’s Noshad Alamiyan, Poland’s Wang Zengyi and Portugal’s Tiago Apolonia; Slovenia’s irrepressible Bojan Tokic maintained the sparkling form on his return to Europe. 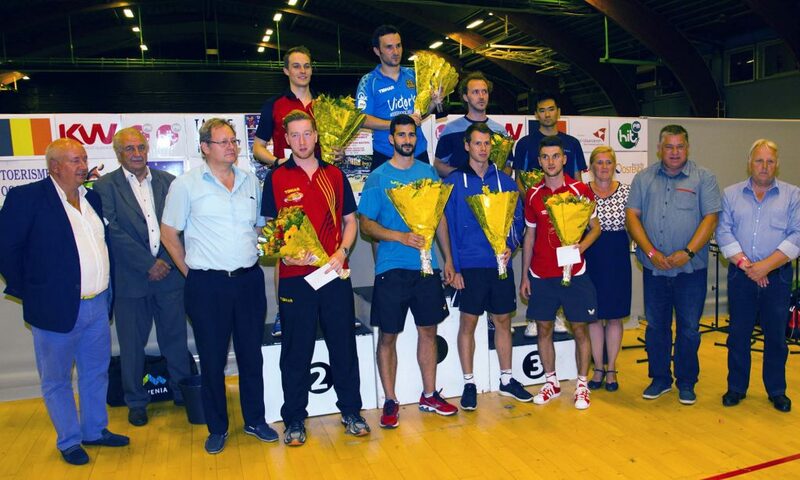 On Saturday 20th August in the northern Belgium resort of Ostend, he won the 18th Flanders Masters tournament; furthermore, he won somewhat against expectations. Not only did he win against the odds; also, he ended the hopes of the host nation, in each round it was a Belgium player who was put to the sword. The no.4 seed, he experienced the greatest challenge to his title hopes in the opening round when facing Robin Devos; he was extended the full seven games distance by the no.5 seed, only emerging successful by the minimal two point margin in the deciding game (9-11, 11-8, 6-11, 11-5, 11-6, 7-11, 11-9). A testing opening round for the player who has risen from no.53 to no.35 on the Men’s World Rankings following his exploits in Rio de Janeiro; however, there was to be no such similar drama as he progressed to secure the title. One round later at the semi-final stage, he beat Yannick Vostes, the no.8 seed (11-8, 11-9, 11-3, 11-3), before securing the title at the final expense of Cédric Nuytinck, the no.7 seed (11-9, 12-14, 11-1, 11-4, 11-6). Notably, in the opening round Yannick Vostes had beaten Croatia’s Andrej Gacina in a gripping seven games duel (6-11, 11-8, 4-11, 8-11, 11-8, 11-7, 14-12). Meanwhile, Cédric Nuytinck had overcome Denmark’s Jonathan Groth, the no.2 seed (12-14, 11-8, 15-13, 9-11, 14-12, 11-8) and Ukraine’s Kou Lei, the no.3 seed, in yet another tense full distance duel, determined by the very narrowest of margins (6-11, 11-8, 4-11, 8-11, 11-8, 11-7, 14-12). Success for Bojan Tokic meant that he retained the title won one year earlier when he had beaten Kou Lei in the final (11-6, 7-11, 13-11, 9-11, 11-9, 14-12), having at the quarter-final stage overcome Germany’s Bastian Steger (11-9, 5-11, 4-11, 11-7, 11-6, 11-6) and in the penultimate round, Russia’s Alexander Shibaev (8-11, 11-8, 11-2, 8-11, 11-5). The same winner as last year but there was one notable difference; the Belgian legend, Jean-Michel Saive, now retired from international play, did not play. I may be wrong but I’m sure it is the first time he has not competed in the tournament, which was always advertised as the Flanders Masters with Jean-Michel Saive. Always organised by Jacques Denys, the 18th Flanders Masters is just one event in the quite unique 38th Flanders International Open. Every event imaginable to man, or woman for that matter, is organised; from those under 10 years of age to those over 85 years old. Likewise, there is a whole range of classes, at the pinnacle there are Olympians, at the other end there are those who use a table tennis racket like a garden spade. Equally, there are events for the disabled; there is a hard bat competition. If it has been invented, it will be on the Ostend schedule. 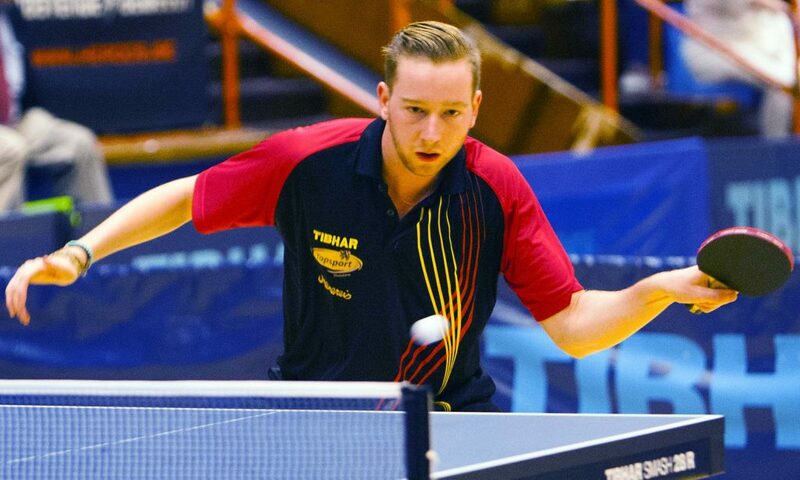 Table Tennis is the sport for all, proven beyond doubt in Ostend.